What if I said you should be continually sweeping your vision to regularly check your mirrors once every five seconds or so? How would your street riding measure up? On a regular ride, think about how you utilize your mirrors. At a stoplight to make sure no one is barreling down on you? On a group ride to make sure you haven’t left your buddies in the dust? On a spirited ride to make sure Johnny Law isn’t tailing you? Changing lanes on the highway to make sure the path is clear? For most riders, that is about the extent of their reflection consumption. Pause for a second to watch how this rider narrowly avoids being crushed by a truck flipping over behind him. Earlier this week, I was lucky enough to attend a two-day seminar at California Superbike School to improve my riding both on and off the track. As I sat down on the second day the instructor announced that nearly all of the level-two skills focus on what riders should be doing with their eyes. Understanding sight placement changed my riding almost instantaneously. By the end of the second day, I was riding harder and faster into the corners while hitting more consistent lines and shredding the previous day’s lap times. Eye placement is everything on a motorcycle. But what about what’s going on behind you? So many of the skills we learn on the track trickle down to make us better riders on the street. But you won’t find mirrors being utilized on a track day so there is a lack of trickle-down to improve that aspect of one’s street riding. About a year ago, Lance wrote an article entitled “The mistakes street riders make,” where he talked about common errors riders make that can get them into trouble. 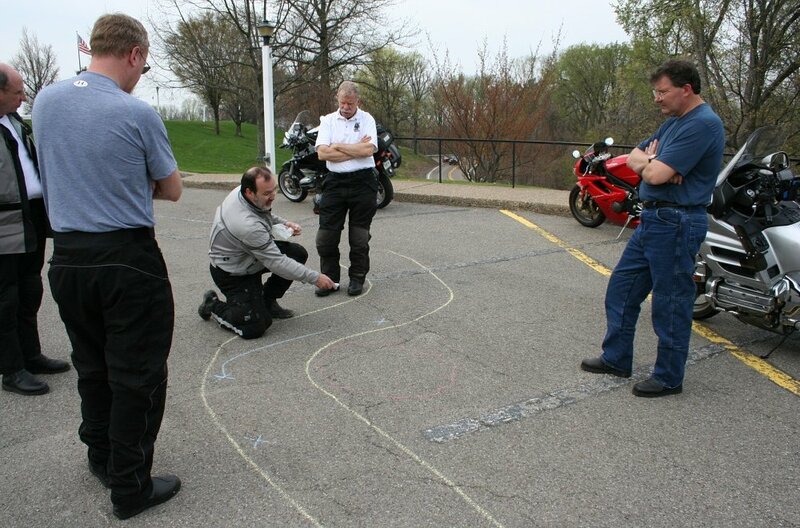 In the article, Lance mentions he has attended Eric Trow’s “Stayin’ Safe Advanced Rider Training” course which focuses on improving riders' performance on the street. 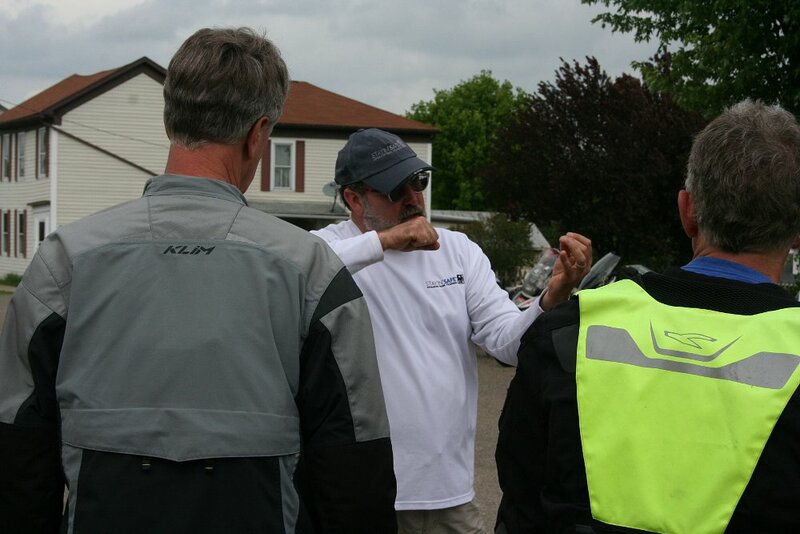 During the course, Eric teaches riders to check their mirrors once every five seconds. Every five seconds. Think about that. We are told to look ahead and look through the corner, so often we could repeat it without a second thought. 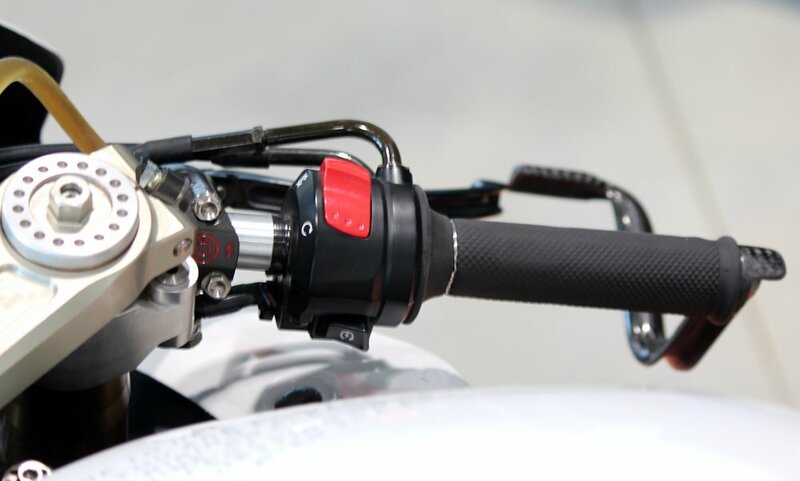 It’s ingrained into us from the moment we first attend an MSF course to advanced trainings like those found at California Superbike School, where instructors take the time to break down what looking through the corner actually entails. But so often we forget that part of what keeps us safe on the street is also taking the time to look behind us. The attached video popped up in my news feed the day after I returned from California Superbike School. With all of the previous day's wisdoms rolling around in my head, I sat and contemplated how this lone rider would have been crushed had he not been paying as much attention to the road behind him as the path ahead. The next time you are out on your daily commute or Sunday ride, pay attention to how often you are utilizing those mirrors. Hopefully you’ll find yourself noticing a bit more of what’s happening behind you. Looking through the corner might help you pick the perfect line, but glancing in the mirror could keep a tractor-trailer from tipping over on top of you.